ORLANDO, Fla., April 15, 2019 /PRNewswire/ -- RCI, the global leader in vacation exchange as part of Wyndham Destinations (NYSE: WYND), won five awards at the 2019 American Resort Development Association (ARDA) World Conference. 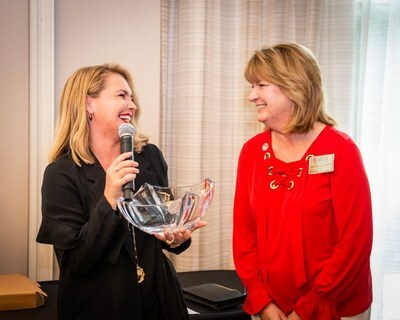 Kelly Deardorff, RCI vice president of project management and resort operations, was honored with the prestigious ARDA WINspiration Award, presented by Fiona Downing, RCI senior vice president, global strategic growth & development and ARDA WIN committee chair. RCI earned the inaugural ProPartners Networker Award, recognizing its commitment to the growth of ARDA through the referral of new member organizations. Kelly Deardorff, RCI vice president of project management and resort operations, was honored with the prestigious ARDA WINspiration Award for outstanding leadership and contributions to empower women and advocate for diverse future industry leaders.